On behalf of the University of Sunderland in Hong Kong, I am delighted to introduce our inaugural issue of “The Sunderland HK”. 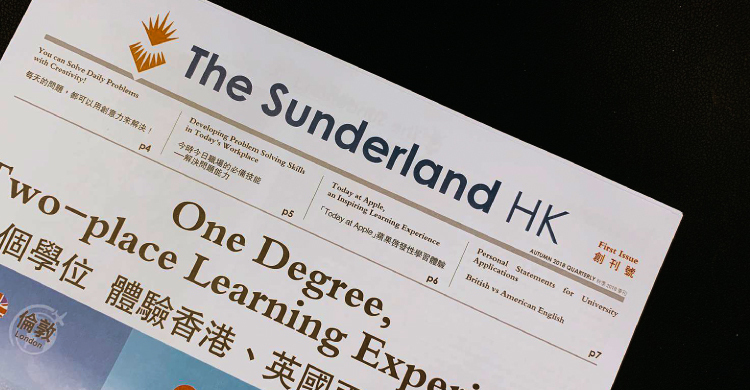 We intend to make it a quarterly publication and to use it to keep every teacher, parent, student, alumnus, and stakeholder in touch with news and developments related to the University of Sunderland and its Hong Kong Campus. The University of Sunderland aims at educating students to be the “Tomorrow Makers” of our societies and economies. In this and future editions, we shall be reporting theories and good practices on the ‘Sunderland Futures’ which is designed by the University to provide students with a wide range of professional training, vocational support and industry network via corporate visits, internship, workshops, master class activities and networking events. In this Issue, we focus on creativity and problem-solving skills which are two of the fourteen core employability skills students need to develop for their careers. In each issue, we shall invite experts to explore how to improve different professional skills and to help students develop skills which they can put into practice in their academic studies, and carry forward into their careers after graduation. 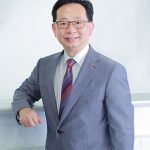 Finally, I would like to add my thanks to all of our colleagues, students, and guests who have contributed to this newsletter, and I hope you enjoy reading “The Sunderland HK”.